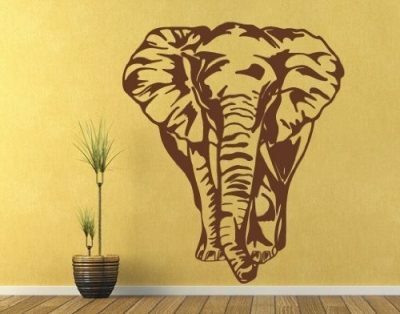 If you love animals then you will absolutely fall in love with elephant decor. Elephants are one of the world’s most gracious, beautiful, and recognizable animals. 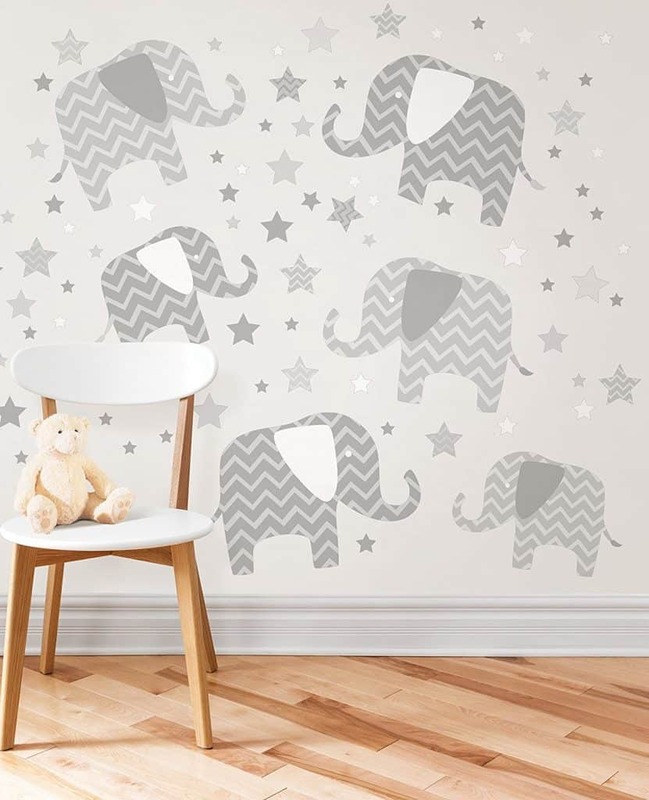 Elephant wall decor looks simply stunning on the walls of our homes and in children’s nurseries or bedrooms. Elephants are astounding creatures! The African elephant is considered the largest land animal in the world. Elephant tusks are considered one of the most valuable sources of ivory used in making jewelry and all kinds of expensive ornaments. There are two different species of elephants worldwide, found in Africa and Asia. 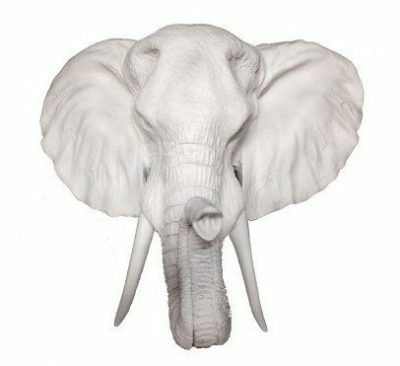 What makes them all recognizable is their tough gray skin, large white tusks, giant ears, and most of all a long and curling trunk. 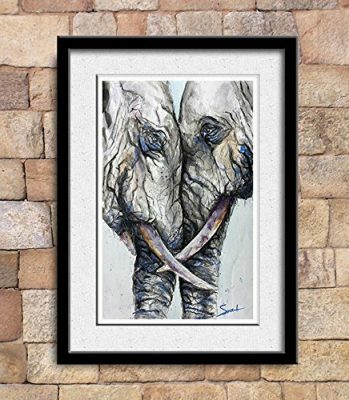 More than anything else, elephants are recognized and known for both their strength and wisdom, a collection of great qualities that aren’t often seen together in the animal kingdom. Ivory, the material of elephants’ tusks, was once seen as a luxury home item because of its rarity, expense, and exclusivity. 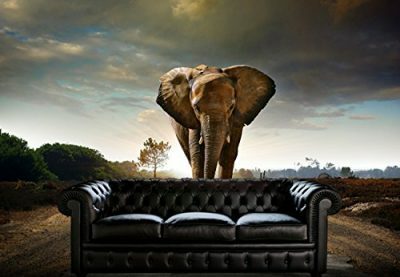 Since elephants have become endangered and humans were killing elephants for their ivory, its reputation became tarnished and its popularity dropped. 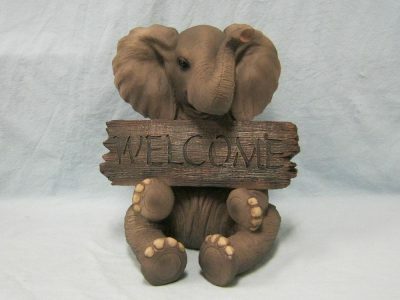 There are so many kinds of elephant decorations that you can display in your home. They are not necessarily made of ivory but are very intricate and utterly amazing nonetheless! 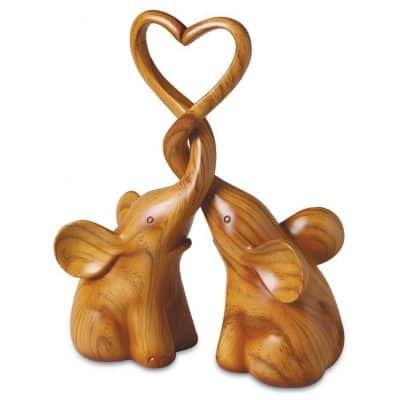 Strength makes elephants a great addition in home gyms or any family living spaces where you want to maintain strong relationships and characters. Wisdom is a fantastic quality to bring into any working areas, like study rooms or home offices. 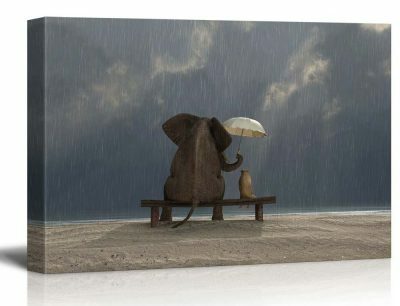 Elephants have a calm attitude that you will want to inject into your working life. 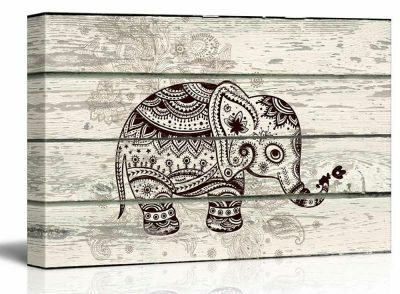 If you want to depict and encourage these qualities in your home, bringing elephants into your wall decor can help you on your way. 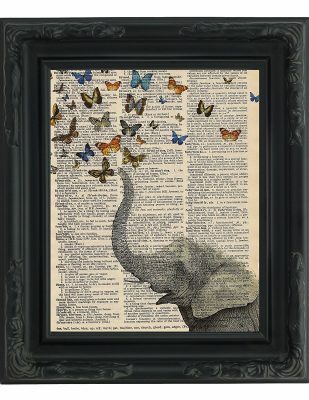 There are a lot of cute elephant room decor for nurseries and playrooms too. It can bring a playful vibe to a kid’s bedroom. In the past, it was daunting to put permanent decorative wall stickers on a bedroom wall. But these days, wall decals and stickers are manufactured in such a way that removing and repositioning them is easy. 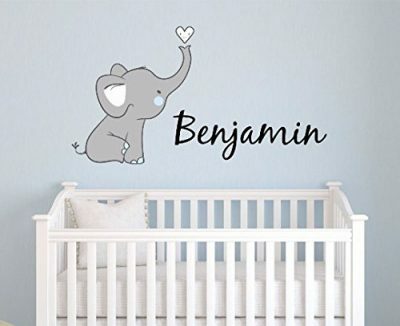 You have all the freedom when creating a wall decor for your kid’s room. 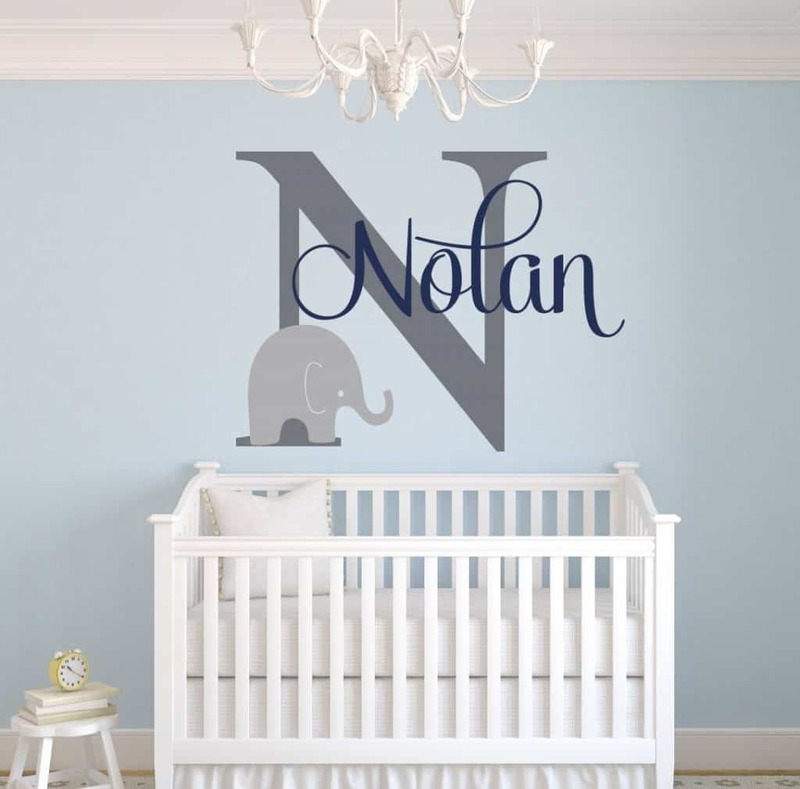 Sticky wall decals come in different themes and styles. You can choose between realistic or cartoonish designs. You may want to consult your young ones when deciding, though. Since they will be the ones spending most of the time staring at the wall. 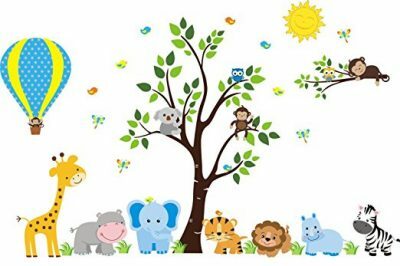 You can even create a jungle scene by adding other animal wall decor like lions, tigers, and monkeys. 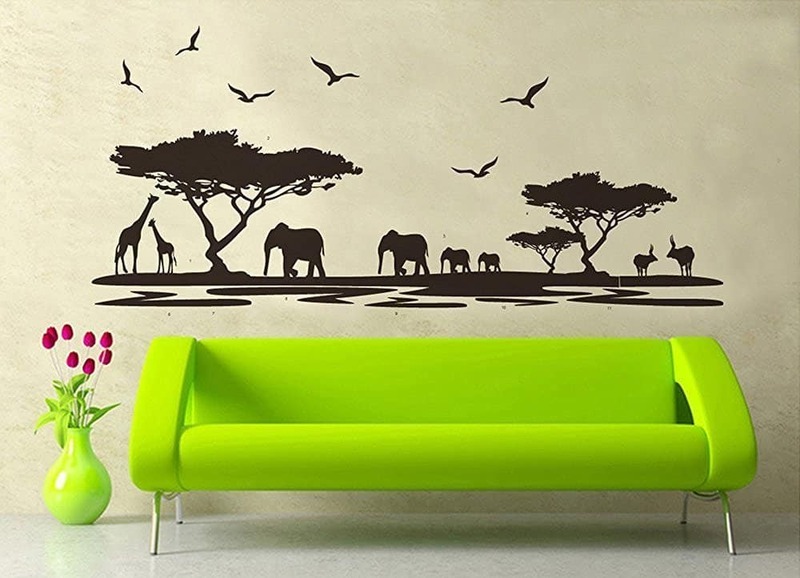 Animal wall decor has become popular thanks to movies like Madagascar. 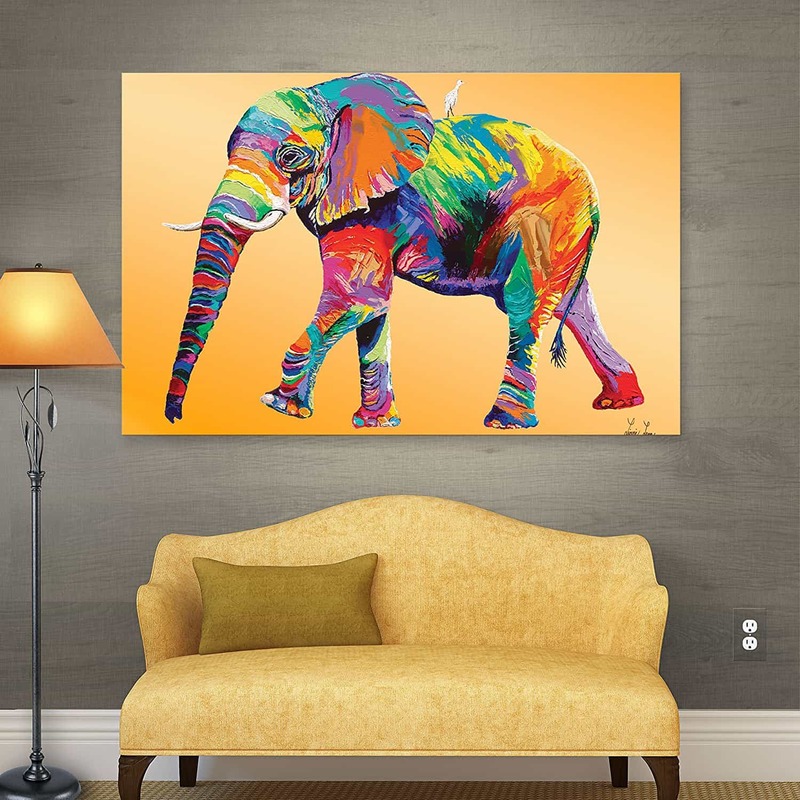 Elephants are a popular favorite among kids but there are other characters you can add to your wall decor like cheetahs and zebras. 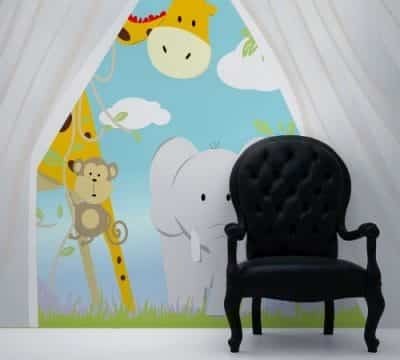 Animals will breathe life into your child’s room by adding colorful details. 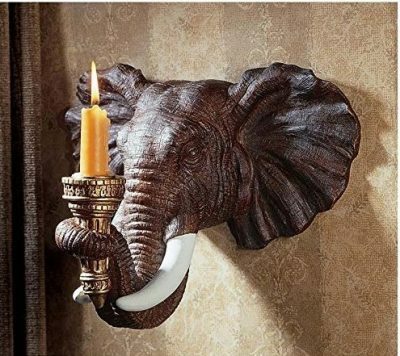 You can also do a Safari home decor theme! There are corresponding wall decorations for basically everything that you can find in the jungle. 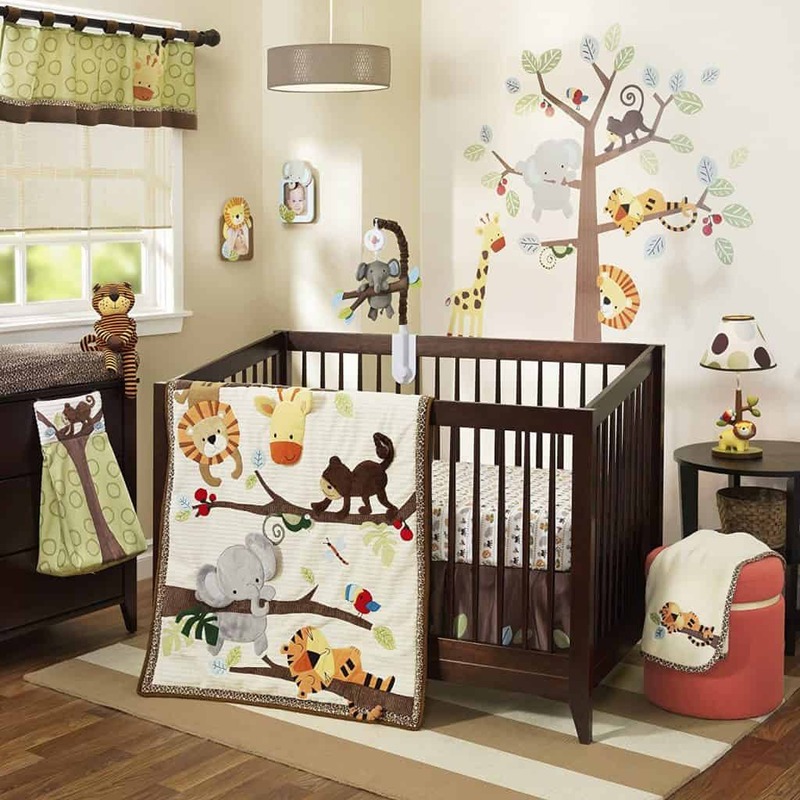 So in addition to using a set of jungle animal wall decals, you can also add a set rare flowers, trees, and shrubs. If you are able to create a somewhat realistic jungle scene, it is almost like you were able to let your kids marvel at the beauty of Africa. 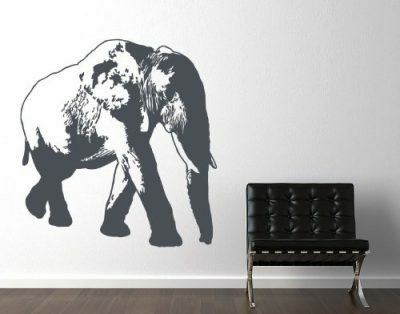 If you want to try something easier, you can opt for an elephant wall decal that features a complete scene. 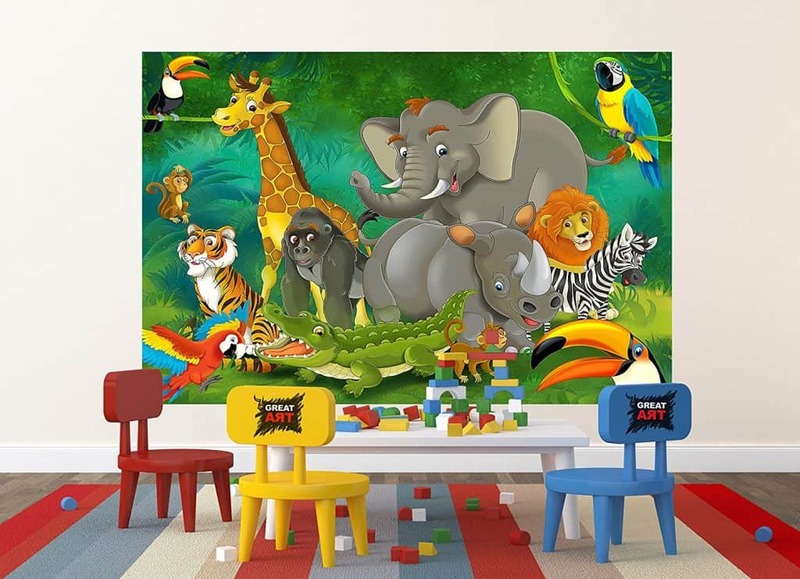 There are large, pre-printed wall murals that you can paint on your own or with the help of your kids (if they are old enough to do so). 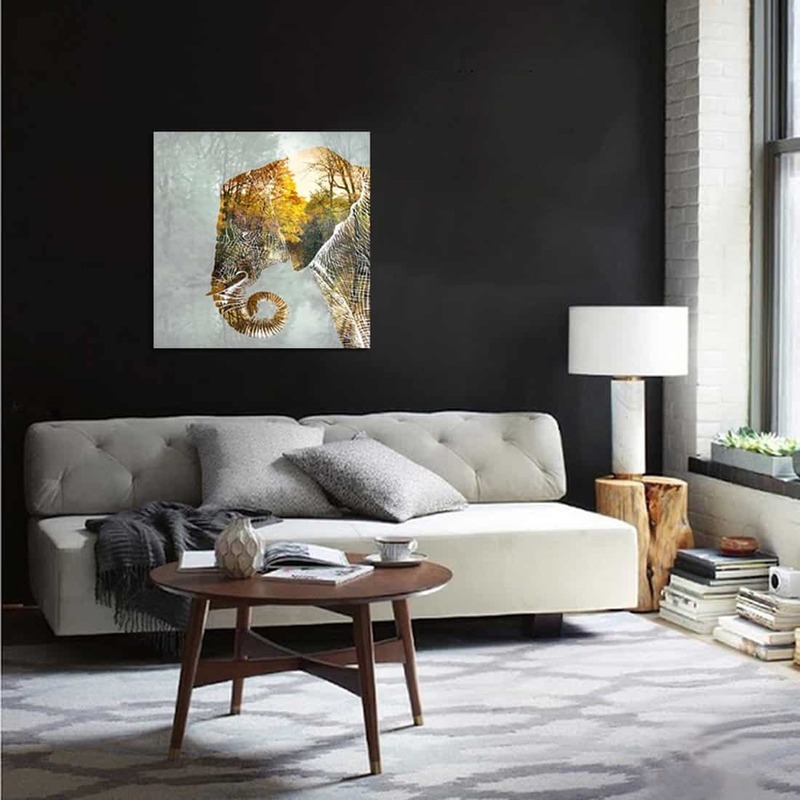 To transfer the full scene mural design to your wall, it can be pasted, traced, and then rubbed. The backing paper can then be removed and you can proceed to painting. You can follow the coloring instructions that come with the product or you can use your own creativity to come up with a unique decor. Remember, it is best to involve your kids in this project – you’ll be amazed by their creativity and imagination. 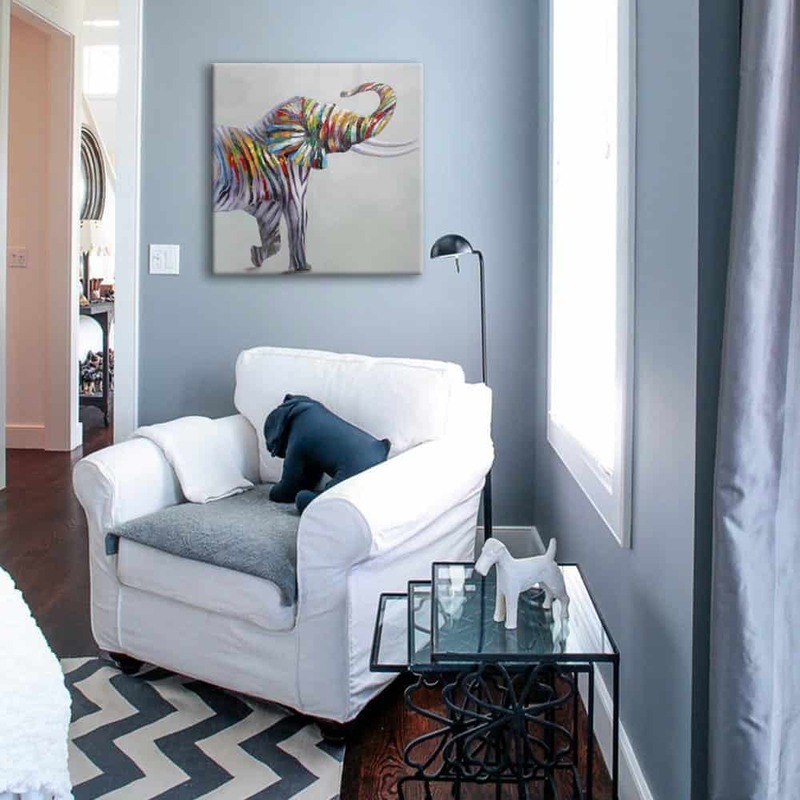 Elephants can be showcased anywhere in your home and they aren’t just for kids. 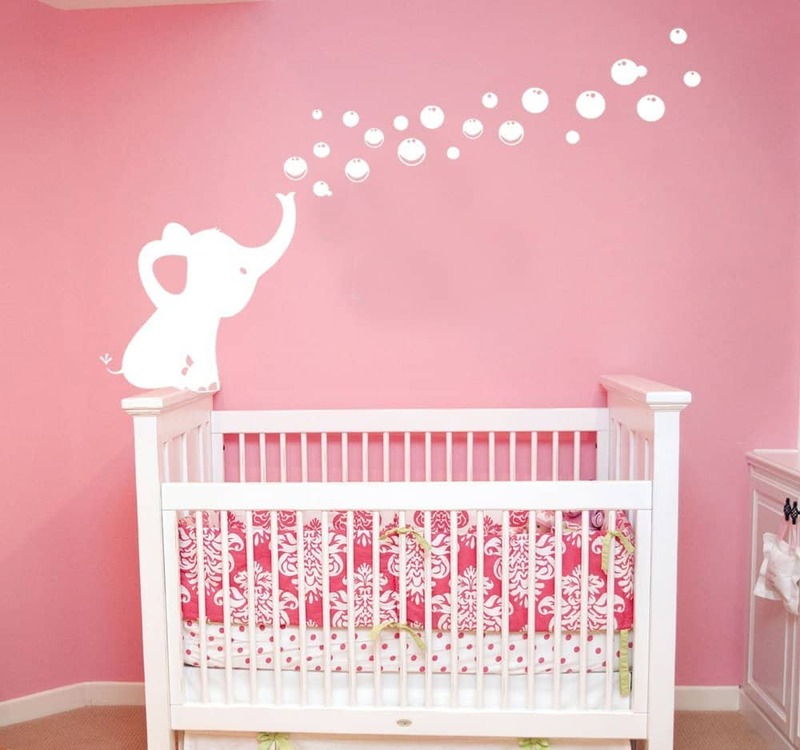 Wall murals are growing in popularity, especially the simple and quick to install decals. You won’t need any professional help and they are quite inexpensive. 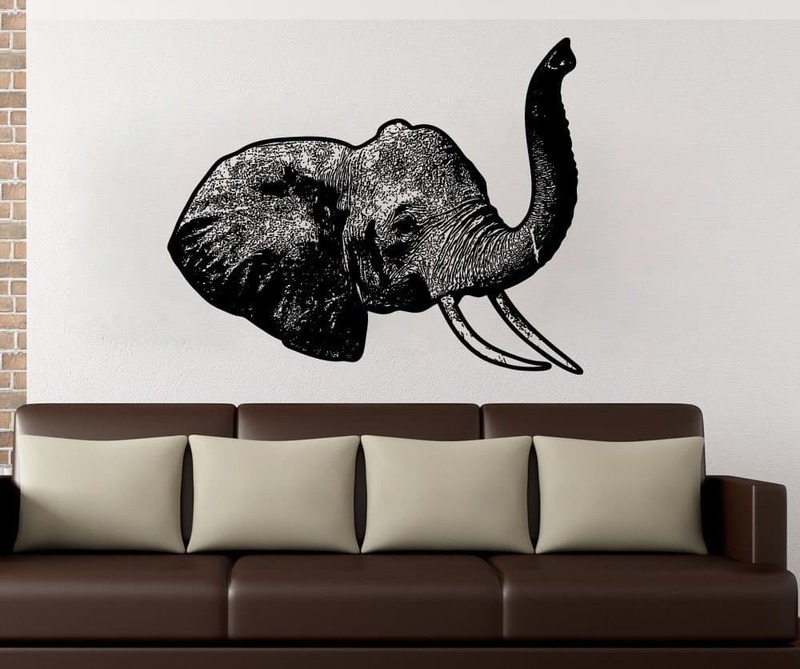 So if you adore elephants you can create a giant elephant decal to cover an entire wall and make a really big impact on your room. 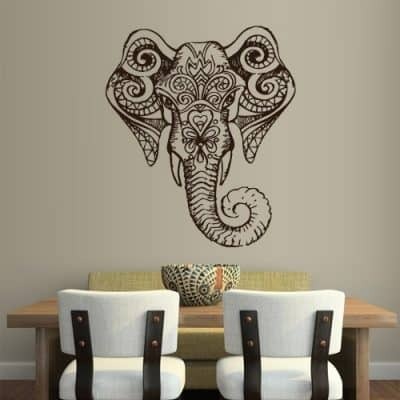 Or you can add smaller elephant images around the entire room. 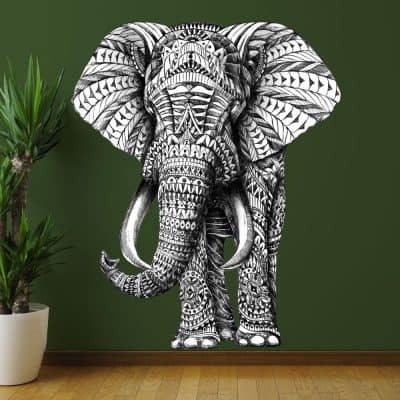 The beauty of wall decals is that you have control over the color and the size, so you can create the exact look of your Elephant wall decor. 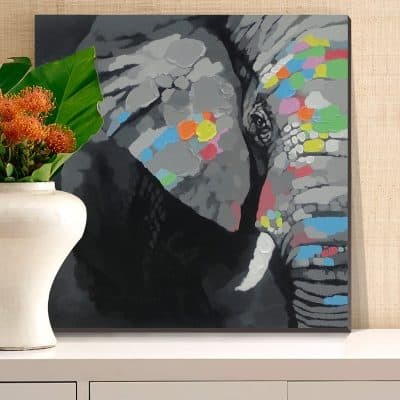 Canvased and framed elephant wall artwork are other ways to bring elephant qualities into your home. If you’re an artist, this is your chance to get creative and let your talent shine. The perfect image can be difficult and time-consuming to find, especially something as specific as elephants. 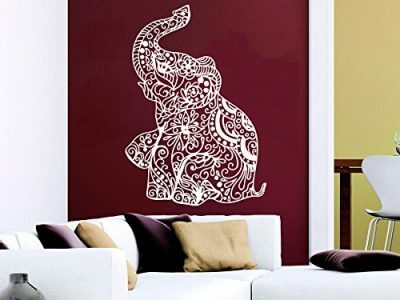 But if you can get your paintbrushes out then you can create your own unique elephant wall art. 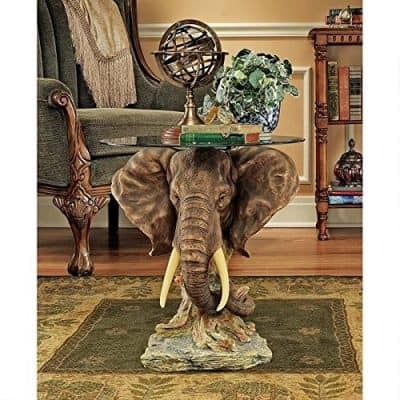 An elephant side table makes a wonderful start. 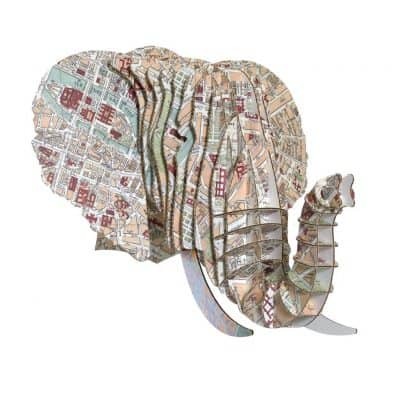 This is a large piece that depicts a beautiful Asian elephant with a tapestry at the back. The top of this ceramic piece is flat where you can place all sorts of items. Since it is meant to be a side table, you can place books, a small lamp as well as small statues. 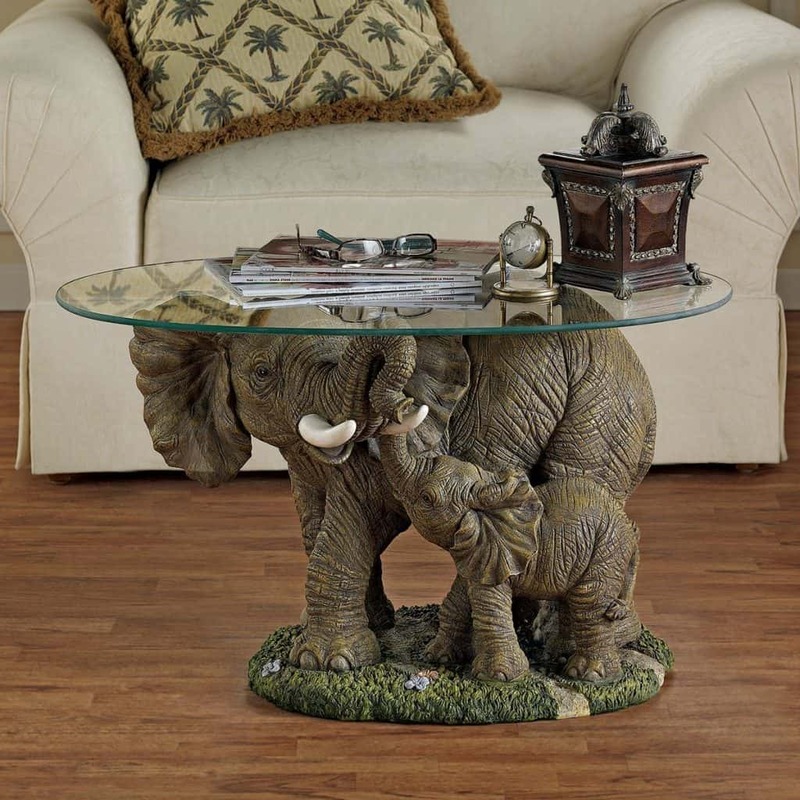 Get one ceramic elephant table for each side of your living room sofa. 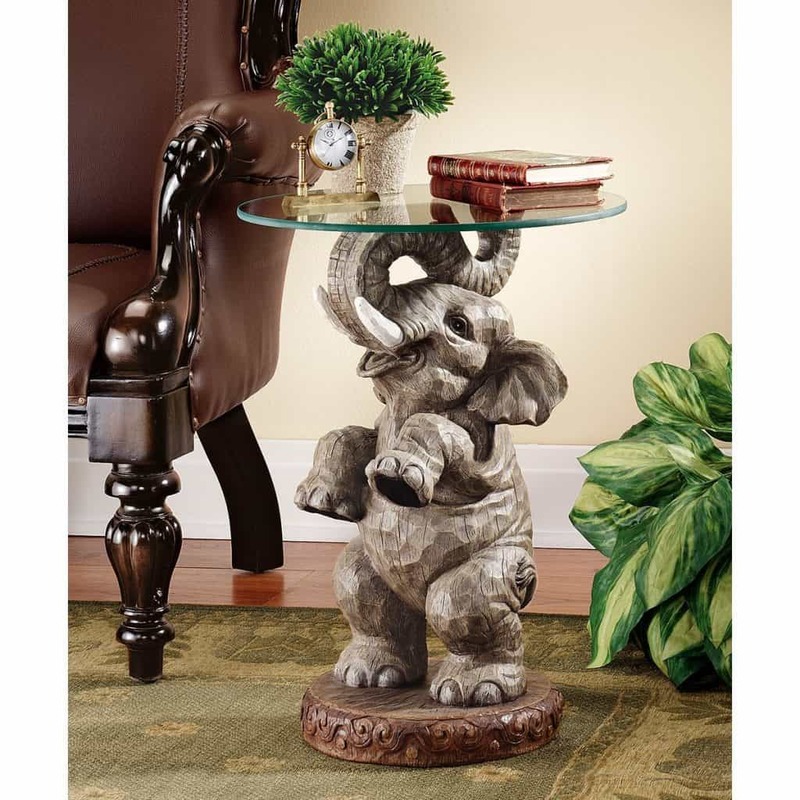 Now we go to a ceramic elephant that is big enough to hold a round glass top to become a living room center table. 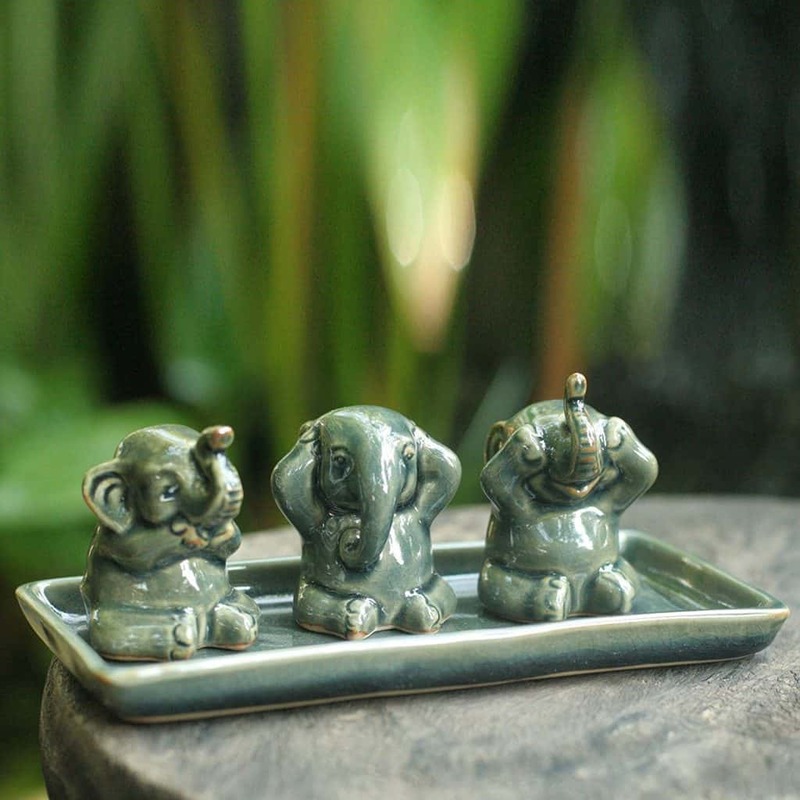 This ceramic elephant is available in different designs but the most popular is a mother elephant with a baby by its side. Elephants have a matriarchal society and they are led by the eldest female. Female elephants travel in groups with their young in their midst. 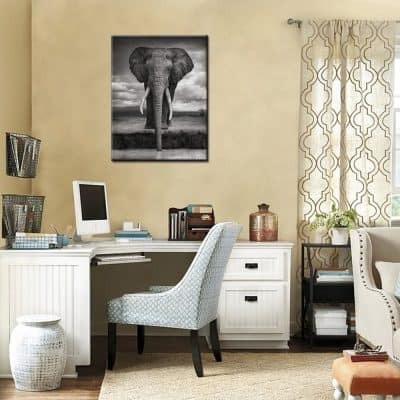 So you will definitely find a lot of elephant home décor ideas with a mom and child combination. A huge number of elephant decorations are antique pieces and priceless. 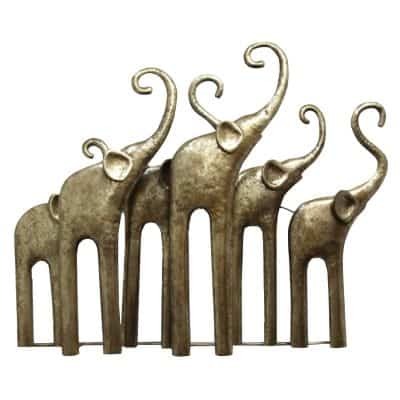 From small to huge decorative pieces, you can find elephant decor in gold, brass, wood, ivory, copper and even marble statues. Some are so valuable that they are fitted with all sorts of valuable stones and metals. 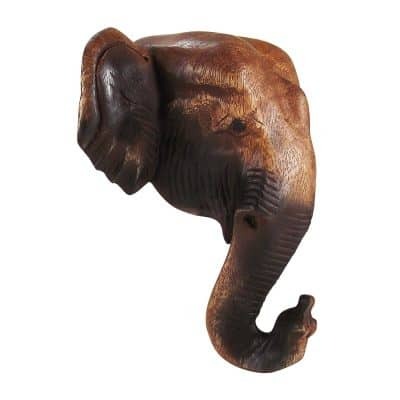 You can also find carvings of elephants in different sizes and they are also very valuable as well. 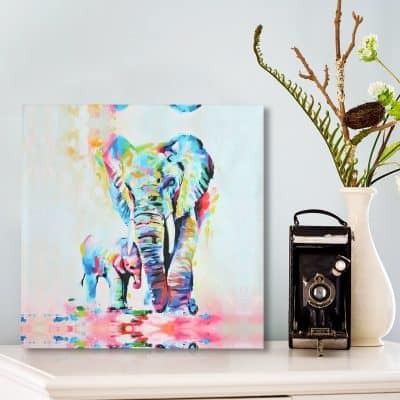 Overall, elephants are fantastic animals that exude intelligence and power, and portraying these wonderful creatures in your home with elephant wall decor can bring those qualities into your living space.